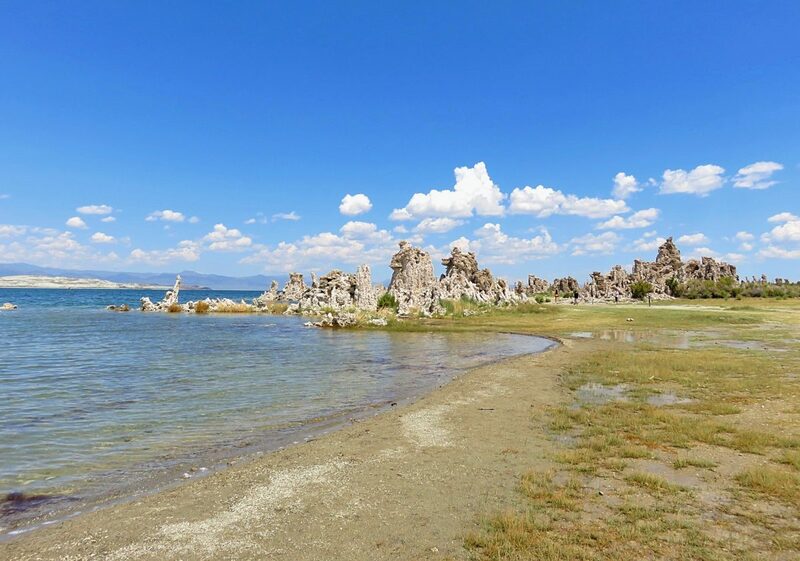 Mono Lake is a hyper-saline lake in California, just outside Yosemite National Park. In fact, it’s one of the saltiest lakes in the world! 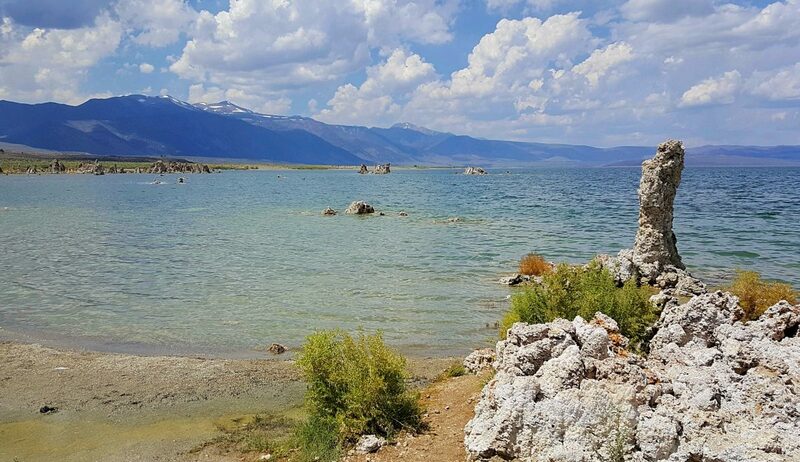 To put it plainly, Mono Lake is gorgeous! You may be tempted to just take in the picturesque view. But did you know that you can also swim in the lake? Yasss! Only a small percentage of people who visit the lake actually swim in it. I strongly urge you to swim in the lake! The salt content of the lake is rising! The salinity of the lake in 1940 was 48 g/l, while in 2015, it was 88 g/l. For a brief period of time in 1982, when the volume of water in the lake was very low due to a drought, the salinity was 99 g/l! 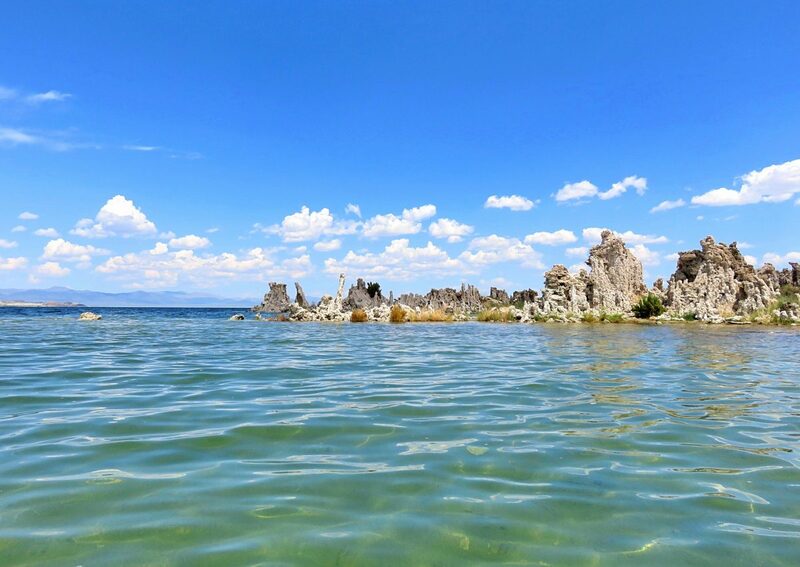 The high salinity makes Mono Lake two to three times saltier than the ocean! 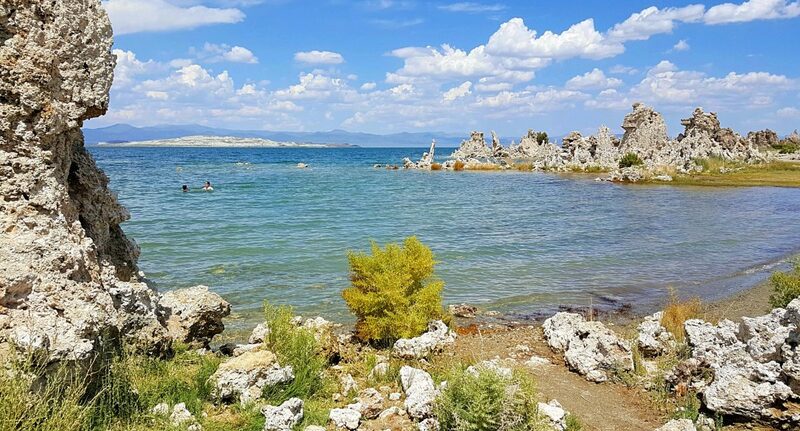 There are no fish in Mono Lake. Why? Because the lake is way too salty for them to survive! The lake does have a huge population of brine shrimp though. 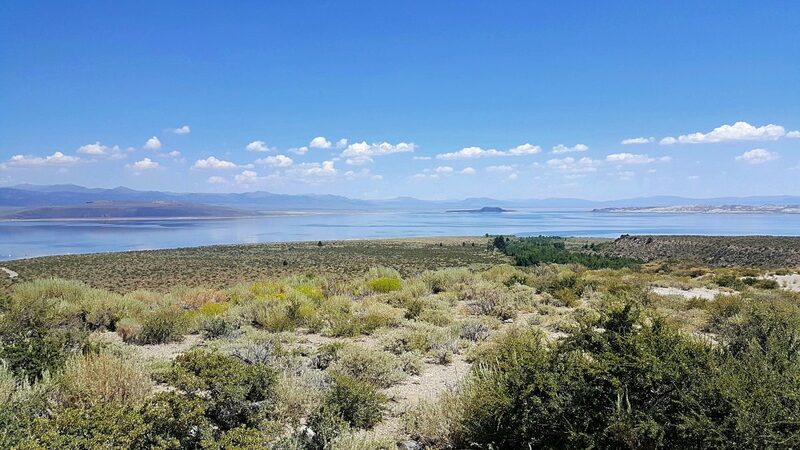 Mono Lake has a unique chemical signature that seems to change from year to year. Dissolved in the water you’ll find chlorides, carbonates, and sulfates. The water is also rich in Borates, a chemical compound, and Potassium, an element and important mineral for humans. 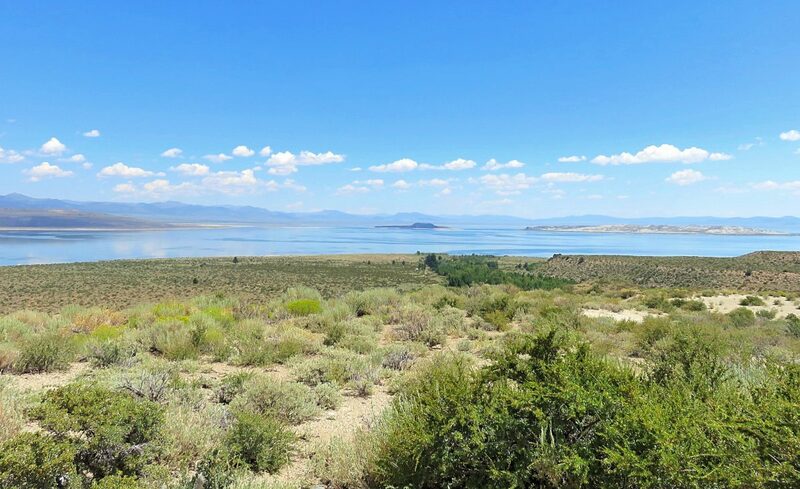 Just by looking at the lake, you may mistakenly think (as I did) that Mono Lake is a simple ecosystem. Wrong! 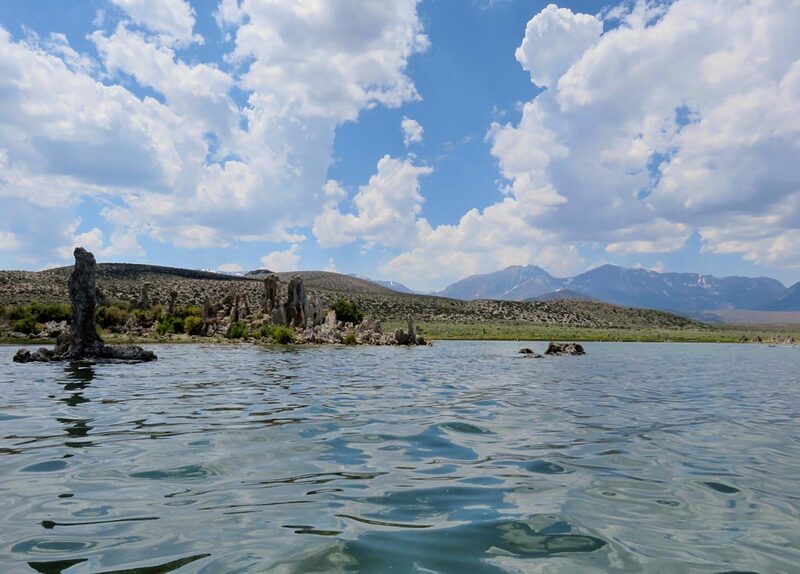 In fact, Mono Lake has one of the most productive ecosystems in the world. Composed of algae, brine shrimp, alkali flies and more than 80 species of water birds, this ecosystem is complex yet fragile. 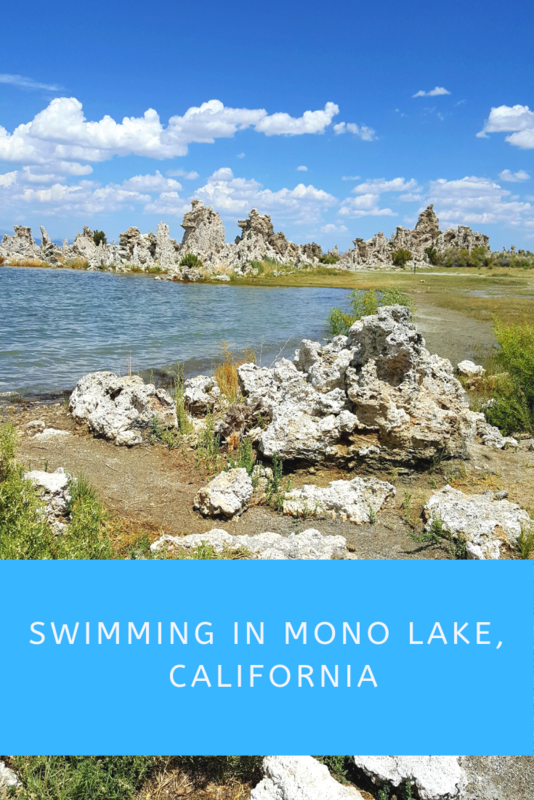 Swimming in Mono Lake is certainly a unique experience you won’t forget. Because of the high salt content in the water, instead of swimming, you’ll be floating! Kinda like floating in Israel’s Dead Sea. This is your opportunity to be a buoy. You might also notice that the water feels slippery, even soapy. That’s because of the high concentration of carbonates in the water. The alkaline water has a pH of 10. That’s very high, considering that the pH of pure water is only 7. In addition to the high salt content, the lake water is mineral rich. Because of the many health benefits, taking a dip in the waters is like going to a spa. Some people also believe that swimming in the lake will cure you of almost all your ailments. Also, there are many people that visit the lake, but only a few take a dip in its waters. 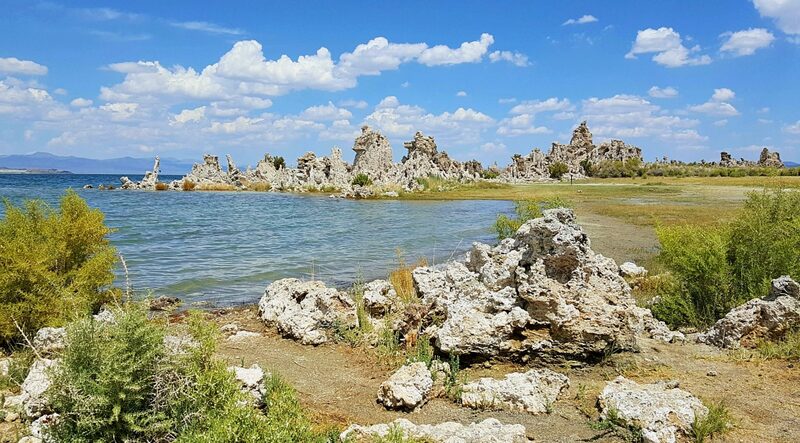 So Mono Lake isn’t crowded! What are you waiting for? Perhaps for summer, because during autumn and winter the water can be quite chilly. Tip: Don’t dunk your head underneath the water. The salt water will sting your eyes. Also, if you have any cuts on your body, expect them to sting. I highly recommend going to the visitor center before heading to the lake. 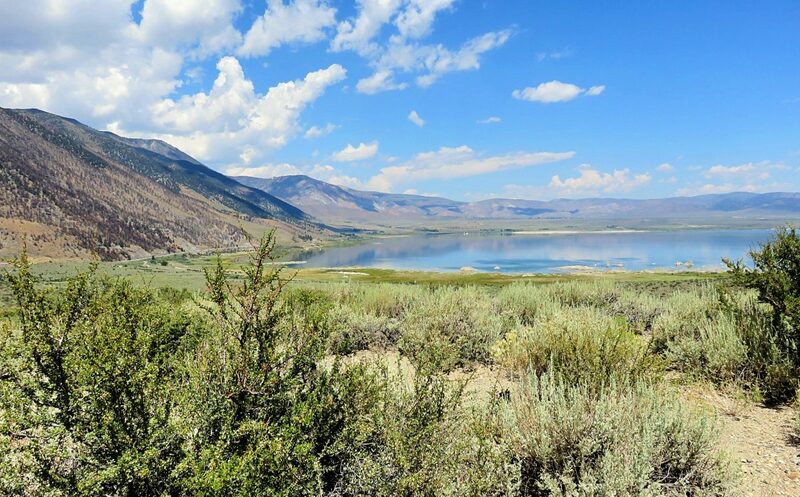 The visitor center is packed with interesting and relevant exhibitions and information about Mono Lake. 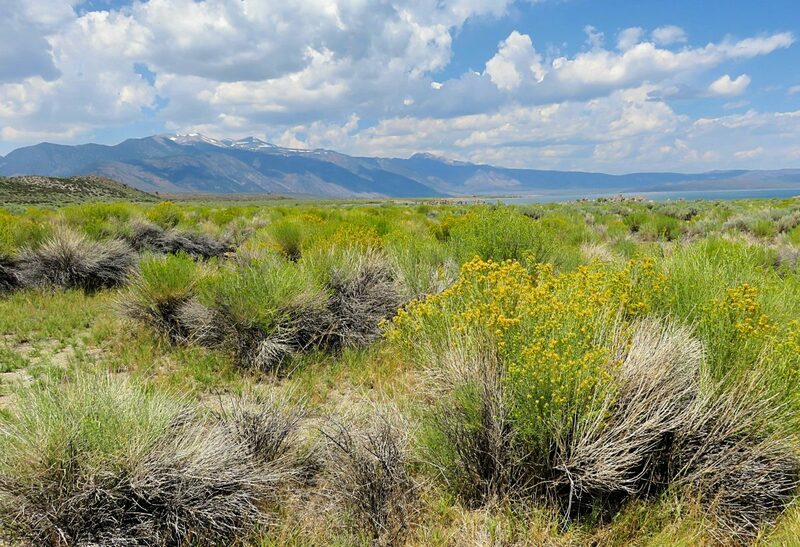 It’s an excellent introduction to Mono Basin. 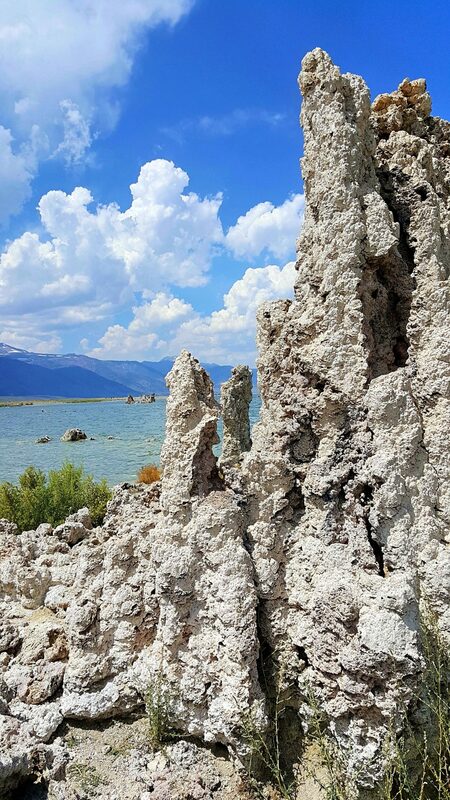 For example: do you know what a tufa is? I’m not going to tell you here…either Google it or go to the visitor center to find out. (Note that the visitor center is closed during the winter months). If you don’t want to go for the information, then go for the stunning view. 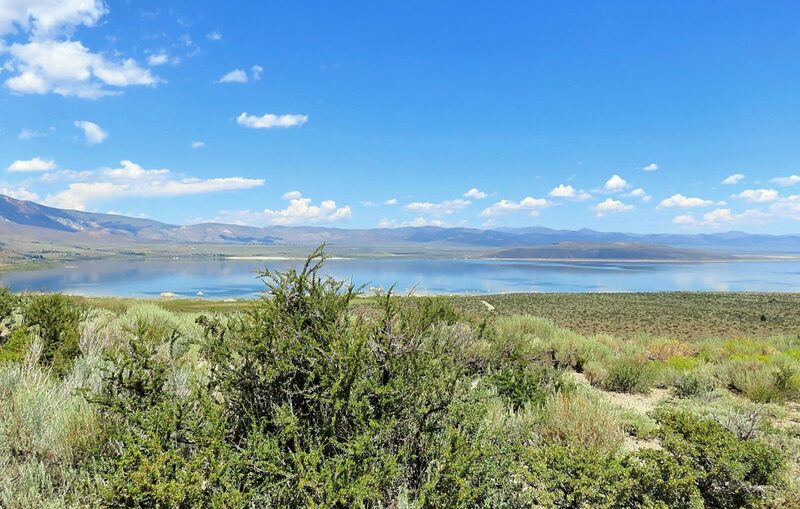 Mono Lake is more than a lake, it’s a complex and fragile ecosystem. It’s one of those unique environments you don’t get to see that often. So go and check it out!